Join our webinar to look at current trends and approaches to manage your promotional content materials. The life sciences landscape is moving at a rapid pace, which in turn is increasing the demands on marketers to create innovative, digital content faster while maintaining industry compliance. Veeva Systems recently conducted an annual industry study, focused on content and digital asset management within life sciences. Gleaned from the experiences and opinions of leaders across the life sciences industry, the research uncovers current practices and the industry’s need for more advanced approaches for global marketing and regulatory compliance. 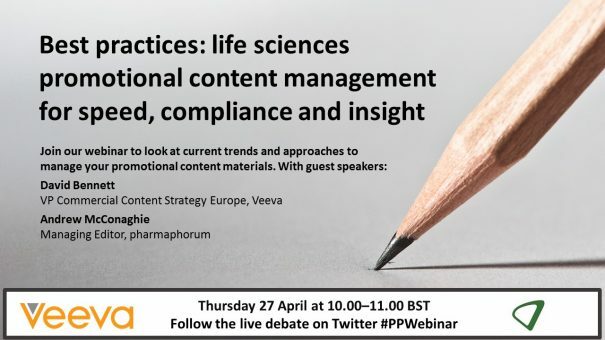 Join this webinar to hear the key insights from the survey results, and discuss key highlights with David Bennett, VP Commercial Content Strategy Europe, Veeva. The live webinar took place on Thursday 27 April, 2017. To watch on demand, please click here or on the buttons above and below. David is Veeva’s Vice President of Strategy for the Commercial Vault suite of applications and is focused on delivering on the promise of digital to the life sciences industry. 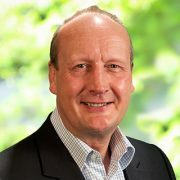 During an international career, David has held leadership positions in a number of software businesses delivering transformational compliance and productivity programs in the Life Sciences and Healthcare digital supply chain. David is an enthusiastic cyclist and ex-rugby player. He lives with his family in Oxford, UK. Andrew is pharmaphorum’s managing editor, feature media. 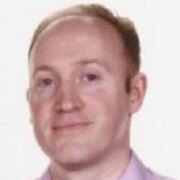 He writes on a range of topics covering pharmaceutical and biotech R&D, marketing and market access, and issues affecting patients and global healthcare systems, especially the UK’s NHS.